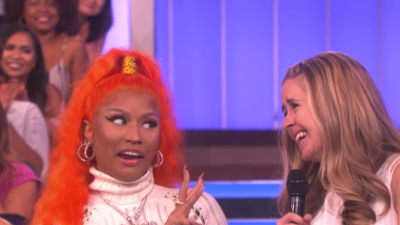 Tuesday was the season premiere of "Ellen" and the talk show host had Nicki Minaj as a guest on the show. They candidly talked about her 'Queen Radio' program and Travis Scott. Nicki Minaj teared up a little when presenting a check for $50,000 to a student to help pay off their student loans. She gave away a total of $250,000. After all of the talking and handing out scholarships, Nicki Minaj treated the audience with a performance.